IS that a sheep or a cloud. Let's say sheep. Sheeply, I was gonna post this is the gian general build thread but, and I doubt I'm alone here, that thing is a rats nest in progress. I can attest to once you've built your first not really ever going back again even though I could occasionally be of use. Which I why I'm stepping out of the herd. Anyway- to start I wanted to ask about gates and trigs. It had been my assumption that both would require +10 but I'm finding that with a lot of my Eurorack I can trigger just fine via the S&H gate input. Rene works, as do clock outs from my Echophon, Phonogen, and gates from Maths. My doepfer A-190 Mici CV converter works well, Intellijel flip flop and uStep don't work but Spock does. Is this "normal"? Am I magic? ;-) Anyone else wondering why they were worrying about modding up a gate/trigger booster? I found similar. The main reason I implemented a booster for the gates was that without it, whilst the S&H will trigger, it's pretty tough to get the Exp VCA to open up fully. Hence, the boost up to 10V! Funny, as I am just building mine now, I was just thinking of triggers and gates today. 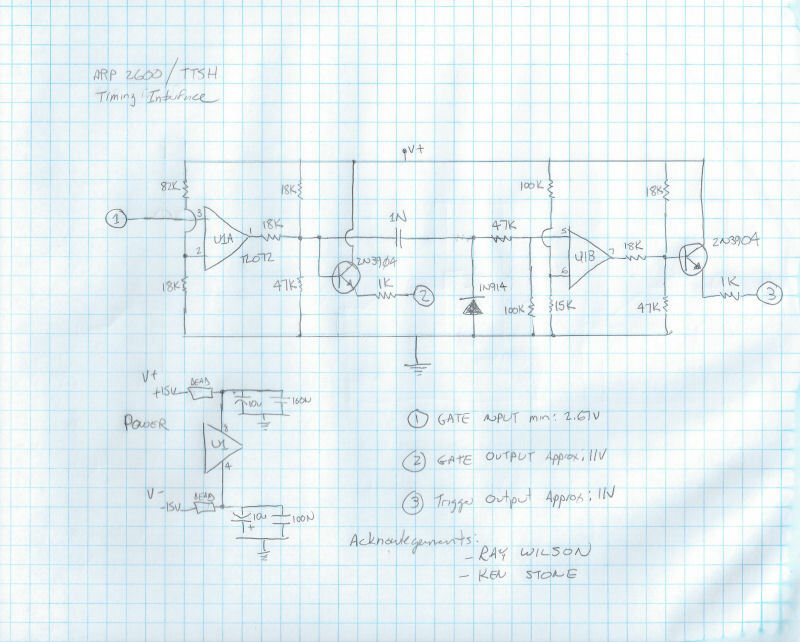 I hope this isnt a hijack, but can a single +10v gate from a sequencer be run through a multiples and feed both the vco and adsr (gate and trigger). Since this has already been covered in the general build thread, you should continue this thread there. It fits in well there, and starting numerous micro-spin-off threads will just be confusing. At least to me. Yan6- yeah the mult should be fine as long as you have a +10 gate. There is some droop as you mult signals but it is more a concern with precise voltage levels like the CV tuning OSCs. Re: micro-spin-off threads, obviously, I think would some specific threads would be better. Finding the post you kinda remember seeing somewhere in a 50+ page thread is more confusing- for me at least. I'm not proposing 1000 micro threads but this one for the gates and one about the ongoing issue of LED bleed make sense. Maybe also about Midi-CV converting. From my perspective these are explicitly not part of the "general build" but specific build issues that would be served well by specific discussion. 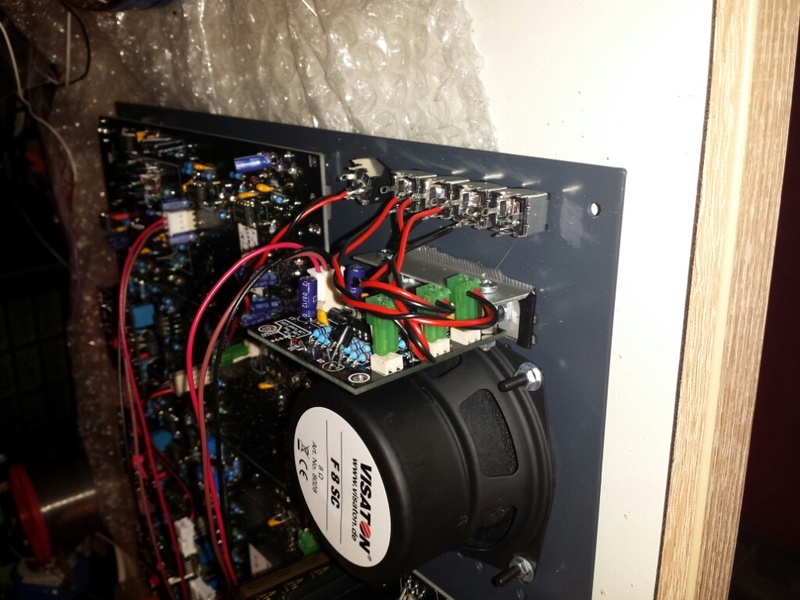 As is now, someone in the general thread shows a nice stripboard +10v converter and then there are 25 posts about "I think I have an extra 100k resistor" before someone responds to the stripboard post about an improvement or whatever. I have tested this using my Mini Meanie and my new Arturia Beatstep, which puts out 7V gates. This will function with any positive going signal at around +2.67v. It can go very fast, right up into the audio range with very little distortion. I'm sure there is someone out there who can figure out how to do this with half as many resistors. I added output buffers because I found the TTSH was loading down the TL072 outputs enough to fault the trigger generator. This circuit alone consumes about 10mA, a little bit more when driving the Gate and Trigger inputs on the Mini Meanie. It's still low enough that you should be able to drive it using the unused +/- 15VDC access on the synth main board without breaking the power budget. Enjoy, and please do try not to turn your hands into a couple of baked potatoes. I posted a slightly tweaked version of the timing interface over on the ttsh build thread. changed: added input resistor and changed the trigger cap to get shorter triggers. Parts list added. Probably a stupid question but where does this get installed; on the external gate and trigger in? If so would this make the trigger in jack not required on the panel since this creates a boosted version for both gate and trigger? On the picture is the wiring wrong. Is that bracket JB-welded on, bolted on, or both? Its a angle Aluminium bracket, 2 screws/spacer on one side to the pcb, screws to the frontpanel by using the speaker holes. But take a black tape or paint the bracket black- otherwise you see it thru the speaker holes. AH, I see, tape. Great, thank you. Btw just to update, I wired mine to the external gate/trigger in. I made a small panel for the back of my wood case for the power and a gate/trigger in. This way the front panel jacks are normalized to the TTSH Gates pcb and the jack I added to the back. As I don't have a working TTSH I can't comment on this, really. Seems strange. Others have talked about < 10v trigs/gates not really opening the VCA all the way. Perhaps this is the case? Definitely audible but not 100% open? I just stuck the midi interface and gate booster on the bottom. I normalled the gate out of the midi interface into the gate in on the booster which is then connected internally to the aux gate/trigger inputs. 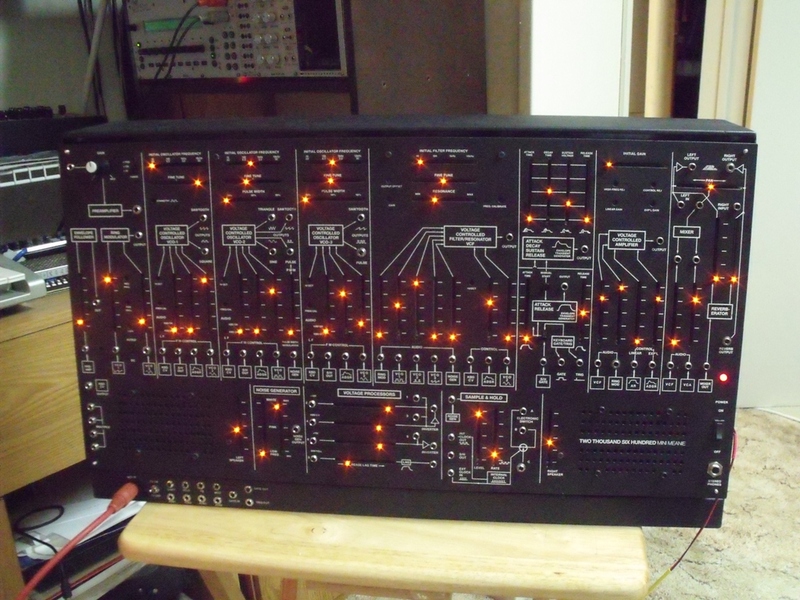 Occurs to me that it would be possible to hack/insert some circuitry into any patch point on this synth. Where the jack tip and normal pins come up through the main board, just solder a small wire to the pad there, and bring those tabs from the jack through with a bit of heat shrink on them and a wire lead on the very end. In the case of the gate booster, the s/h gate jack would work, and nobody would be the wiser, it would be 100% invisible. If done, the S/H would always be passing through the gate booster when no external gate was introduced. Just an idea, I have not tried it. Just wondering if anyone has a mouser part code for the mta02-100 and mta03-100 in the BOM? Having trouble locating them. Also if you have a part number for the connector with wire that go into them that would be great. I ordered the MTA headers and connectors for the board off of RS on Wednesday. They have the 2,3 and 6 pin ones (I'm using qp's pcb with the added midimplant on it) in stock at the mo. Expensive though!! As for the cables though I think you're gonna need to knock up your own. great! Thank you both for the info. These connectors work with 24 awg wire. Get some spools of that, and this tool from mouser: 571-598031, and you can roll your own connector cables in a jiffy. I have always had better luck using the housings that use crimp pins; I have a pair of crimping pliers, and I dab each one with solder before inserting it into the housing. The tool and the press-fit wiring works, but can be difficult at first to get reliable connections. Even experienced folks (looks at NV and the Euro Klee project) can end up with cables that test good, but come loose later.